for death is the destiny of every man; the living should take this to heart. 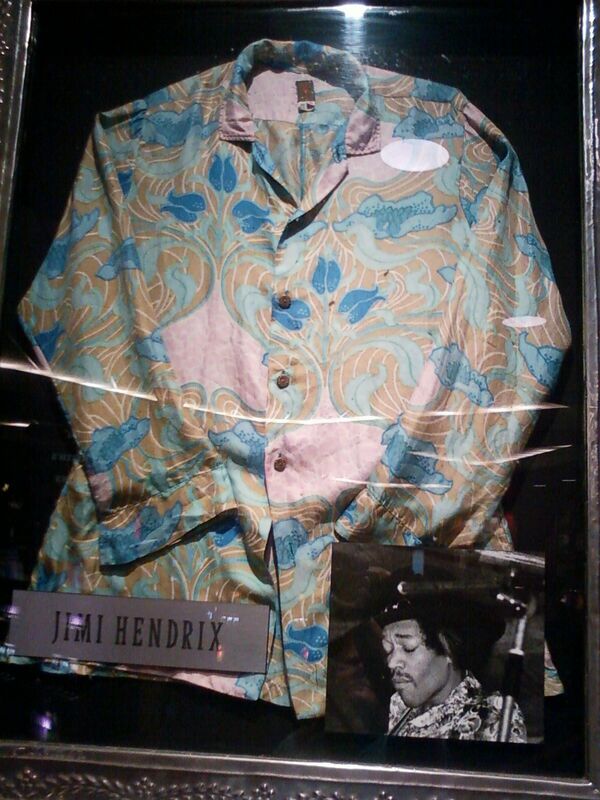 Jimi Hendrix died September 18, 1970 at his girlfriend's London apartment, when his lungs filled with fluid, resulting in drowing. Physicians noted an abundance of red wine in his system. 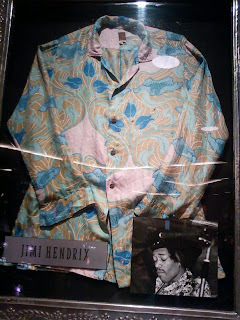 Road trip photo: This is Jimi Hendrix' shirt which is on display at the Hard Rock Cafe in Tulsa, Oklahoma. Thank to WABX listener Cathy for the picture. This is a privately maintained site. Comments herein are solely the opinions of the author.. Powered by Blogger.